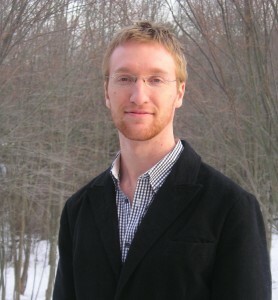 The editors at Sycamore Review were thrilled when judge Antonya Nelson chose Joe B. Sills story “The Duck” as the 2011 Wabash Fiction prize winner. Nelson said of the story, “This story stands out for being both entirely original, and entirely paying homage to the father of short story writers, Anton Chekhov. It looks backward, it looks forward. It is spare, clever, elusive, and utterly satisfying.” We couldn’t agree more. We wanted to catch up with Joe and ask him a few questions about his story, Chekhov, and the relationship between medicine and writing. Read an excerpt of the Wabash prize winning story here. Sycamore Review: One thing that became quite clear after reading your Wabash Fiction Contest-winning story “The Duck” and taking a look at Contributor’s Note is that you have a clear and frustrating lack of ambition. Not only are you currently in medical school, but I understand that you took a break to attend the MFA program at UVa, correct? Can you discuss how writing and medicine connect for you personally? Do they take up the same mental space, or do you think about your stories when you are making your rounds and think about patients when you sit down to write a story? And, oh yeah, how the hell do you find time to write? Joe B. Sills: I did take a leave from my medical school at Tufts to go to UVa, and now I’m back in medical school again. Medicine and literature usually hang out in different parts of my brain. I used to think of them as roommates who get along fine but don’t have much to say to each other. That’s begun to change now that I’m spending more time in the hospital, and the occasional thought will pass between medicine and writing if it has certain properties that I can describe only through example. One of my patients was this elderly woman, about whom I will be slightly untruthful to protect her identity. She was hospitalized for pneumonia, and my resident needed to draw a blood gas which can be painful. The nurse was holding down this poor woman while the resident hunted for her radial artery with a syringe, and I was trying to distract her with inane questions about her life, thinking that would helpful somehow. She’s this tiny, frail lady who’s writhing and moaning and I’m standing at the foot of her bed and asking about her cats. At some point she must’ve recognized how weak I appeared, and that her pain had given her a power over me, and she began telling me this Flannery O’Connor-ish story about her next-door neighbors who got into an argument in her driveway, and one beat the other unconscious with a shovel. She watched this happen through her living room window, and she shared this experience with me in an effort to captivate and calm me, and in doing so she was calmed, and the resident found her artery and drew the blood gas. By the time I needed to leave her room, she hadn’t finished the story – she’d only gotten as far has the neighbor with the shovel noticing her at the window. For mostly selfish reasons, I told her that I’d check in on her tomorrow to see how she was doing and to hear the rest. But the following morning I learned that she decompensated overnight and died. Since then, I’ve had this story fragment embedded in my head, and I can still see that woman and her neighbor locking eyes through the window and wondering what will happen next. I was already somewhat aware of how a story retains its velocity even after its point of origin is gone, but I’d never witnessed that concept at close range. Anyhow, that’s a raw, unprocessed experience, and I don’t know if I can write it into something good enough to be of emotional value. I don’t even know if the act of writing it will refine my understanding of how stories are created and shared and survive, or if I’ll just spin my wheels for a few thousand words before moving onto something else. Either way, the point I’m trying to make is that medicine is a minefield of concussive but potentially enlightening moments, and writing has always been my best shot at clarity. I have no writing habit, no daily system. I make time at the expense of whatever errands I’ve decided to ignore. My mom made the mistake of gifting me an orchid that I’ve starved to death. There’s a petrified brick of clothes in my hamper. A horde of spiders nests in the space between my storm windows. But I can live with a dead plant, and I can wear the same pants tomorrow, and those spiders can stay as long as they want if that’s what it takes for me to squeeze in another hour. Sycamore Review: An abridged list of the company you will soon be keeping as a doctor/writer (no pressure): Anton Chekhov, W. Somerset Maugham William Carlos Williams, Walker Percy, Chris Adrian, Louis Ferdinand Celine, and Sir Arthur Conan Doyle, to name a few. Not to put you on the spot (but, in this case, you kind you put yourself on the spot), but I wonder if you can make a few grand, sweeping claims on why doctors seem to write such great fiction and poetry—just a few. Joe B. Sills: That is very, very generous of you to think of those authors as my company. Chris Adrian is a living hero. I came upon his fiction around the time I realized I wanted to be a writer and a doctor but would be unable to abandon one for the other. It was a small relief to know that at least it was possible for someone to do both. It’s also very, very generous to say that doctors write great fiction and poetry. I’ve read brilliant work by physicians, but I don’t believe that being a physician makes for great writing. Most of the best writers I know are shoe saleswomen, part-time waiters, or working for peanuts at lit mags. I know a wonderful poet who castrates wild horses in Wyoming, but I can’t claim to know if or why horse castrators write such great poetry. I think of Chekhov as a gifted writer who happened to be a doctor, and had he not been a doctor I’m sure we’d still be reading him over a hundred years after he died. Did this story begin as you trying to pay homage to Chekhov or was it simply a story about a young, sensitive boy who eventually announced himself to you as a young Chekhov? Did you do any research beyond reading Chekhov’s stories and possibly a biography to make the time and place feel so authentic? Did Chekhov, as far as you know, ever have a pet duck? Raymond Carver’s last published story, “Errand,” details the illness and death of Chekhov. Have you read that story and, if so, did it offer any permission for you to write a story about the young, anxious, but very much alive and awe-struck Anton Chekhov? I tried to put the story behind me but I’d accumulated a pile of Chekhov biographies that I was too disheartened to return to the library. Months passed, and I kept rereading the chapters about Chekhov’s childhood. That was a part of his life I felt more able to envision and imagine and manipulate. I’m not a Chekhov scholar, but I do consider myself an expert of miserable, miserable adolescence. At last I’d found a Chekhov in whom I could believe. No, Chekhov did not have a pet duck, at least none that I know of. But when he was sent to bring a duck home for dinner, he’d torment it into quacking on the walk home, probably to let his neighbors know his family wasn’t broke yet. So a pet duck was within the realm of possibility, though I never expected it to become the story’s fulcrum. Other Chekhov lore smuggled their way into the story as well. The Taganrog official with the broom, the pair of wretched shop boys, the rat that drowned in the cask of oil; all true. Sycamore Review: I also wondered about the point of view in this story, which is mostly limited to a close third on Anton with only a brief moment from his father, Pavel’s, perspective. However, much of the story is so deep in Anton’s consciousness that we get wonderful insights into his young and vulnerable mind, such as: “He imagines her skin on his lips and the flavor it might make on his tongue, but these thoughts catalyze a hot alchemy in his belly. It is humiliating to be taunted by this braver version of himself, and Anton replaces this feeling by counting the houses, old and welcoming like benevolent grannies.” Did you ever considered writing this in first person or perhaps at least experimenting with it to find his voice? Would it have been too daunting to write this story in first person? Joe B. Sills: I take a crack at both the first and third person in all of my stories. In this case the first person couldn’t sustain the Chekhovian voice that I wanted to contaminate with my own. That line with the ‘houses like benevolent grannies’ is cribbed from letter that Chekhov wrote to his family while traveling outside of Taganrog when he was twenty-seven. The story is heavily ornamented with phrases in which the narrative voice is literally Chekhov’s. The first person brought me too close to the consciousness of thirteen year-old Chekhov, who would not have been as capable of such gorgeous observations as was his future self. And you’re right; the first person was too daunting. I felt like an imposter inside Chekhov’s skin. The third person was a trick I played on myself so I’d feel as if there were a more comfortable distance between myself and Chekhov. Sycamore Review: Between your time spent with the outstanding writers at UVa and mentors at your medical school you have been absorbing much wisdom over the past few years. Can you share with our readers a piece advice that you received that has stuck with you and that comes to mind whenever there is a blank screen in front of you? Joe B. Sills: I am the grateful but not absorbent recipient of plenty of advice and wisdom. Maybe I will recall some of it by the time anyone reads this. So the honest answer is sorry, but no.One thing I will say is that I have nothing against blank screens. The moment before I’ve begun to write is a gift, because that means I haven’t made any mistakes yet. It’s much worse to slog through the millionth draft of a story and then realize that all you’ve done is polish a turd. And most days it’s enough of a challenge to arrive at the blank screen. If you’ve made it that far, you have my sincere congratulations. Sycamore Review: Quick thought experiment: Your brother (or hypothetical brother) is going to be spending the next year at the international space station, alone. He only has room in his shiny space bag to bring one Chekhov story with him to keep to him company. Which story would you pack in his bag and why? Joe B. Sills: I have a sister and we don’t even give each other anything for our birthdays. We have a tacit understanding that by not receiving a gift we are relieved of the burden of finding some doodad that the other will just throw away. So gifts meant to last a year are a little out of my league. At UVa I taught an undergraduate fiction workshop. In each class my students discussed some canonical story, and they’d make these brilliant insights while I did my best impression of a competent instructor. But I secretly hated assigning stories because so much literature, including Chekhov, has been wasted on me in the same way. When I was in high school I was supposed to read “The Lady with the Little Dog” but I don’t think I even finished it. I hadn’t yet become the person who could recognize its peculiar magic. At UVa I pled with my students that if they hated a story, to wait a decade and try it again. I hope I didn’t cause any lasting damage. 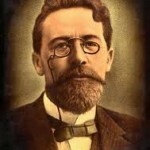 My favorite Chekhov story is “Heartache,” but I didn’t assign it to my students. They were much brighter than I was at their age but I didn’t want to chance their apathy, which would have been like witnessing my previous apathy, and I have enough embarrassing memories. “Heartache” – I’m reading it again now. It builds a world with perfect economy. Its comedy is one with its sorrow. Iona Potapov and his loneliness, his horse, his imbecilic fares who biff him in the neck, a beating that he hears rather than feels. The final sentences are too beautiful for me to quote without first reciting the story entire. It’s almost too good for anyone. TRIGGER MAN: Congratulations to Jim Ray Daniels!